Klein Tools provides a wide range of knives and other cutting tools for professional applications across all trades. 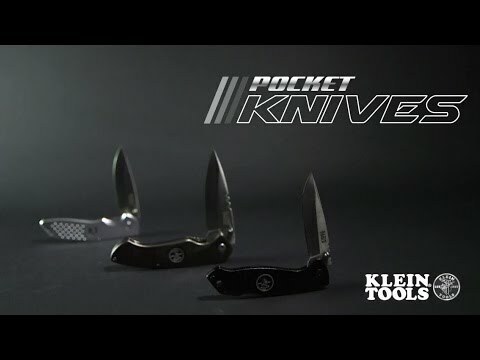 Klein Tools pocket knives are trade-tested, valuable for splitting cable and stripping wire on a jobsite, as well as performing everyday tasks such as opening boxes or plastic packaging. The line of pocket knives are durable, with long-lasting, sharp blades, and are made to stand up to whatever the jobsite throws at them. This Klein Pocket Knife has a stainless steel blade for strength and aluminum handle for corrosion resistance. Check local law on the legality of selling, carrying, or possessing this knife.